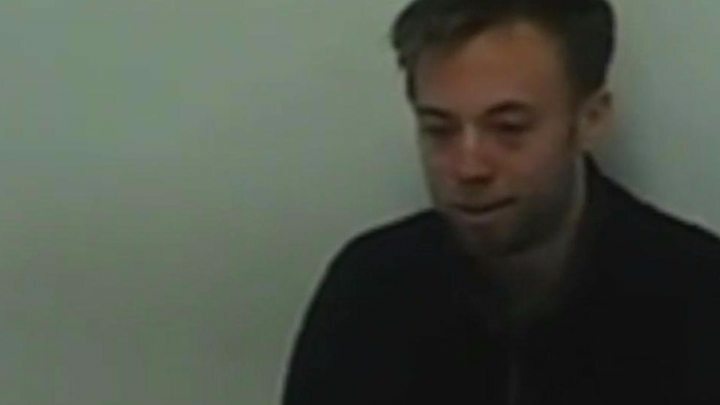 An international hunt is under way to find a man who killed his date in a speedboat crash on the River Thames.Jack Shepherd was jailed for six years for the manslaughter of 24-year-old Charlotte Brown. The pair were thrown overboard in London in December 2015.Police said the 30-year-old, who was absent throughout the trial, had travelled abroad in the past year "so we have to follow that lead".Ms Brown's family said it was "not fair" Shepherd had not faced justice.Det Sgt Christopher Davies told BBC Breakfast that officers were following up "intelligence and leads to addresses and where he's last been seen and where he's known". "We work with a number of agencies, including the National Crime Agency, and we're open to worldwide inquiries," he said. The Met Police found out that Shepherd, of Paddington, would not appear at his trial three days before it was due to begin, although he had appeared at previous hearings.Shepherd's trial heard he had entertained up to 10 women on the vessel and had previously been warned by police about speeding on the river.An arrest warrant has been issued for Shepherd, who was found guilty at the Old Bailey on Thursday of manslaughter by gross negligence. In court, the web designer's barrister Stephen Vullo QC said Shepherd was not trying to avoid justice but "could not have faced the Brown family". "It's cowardice," he said.Mr Vullo also revealed his client married a childhood friend shortly after the crash, and has a two-year-old child, but the relationship has since broken down. Ms Brown's family have appealed for Shepherd to hand himself in.The 24-year-old's mother Roz Wickens told BBC Breakfast that her family found it "pretty devastating" he had skipped bail "because... he's bought devastation to us". "He's been able to choose not to turn up and it just didn't seem fair. We wanted him to face the trial," Ms Brown's twin sister Katie said.The family said they saw Shepherd at three previous court hearings, but had not received a message of condolence from him.Ms Wickens said they were told "he had written it and sent it to his solicitor" but the family had not heard anything.